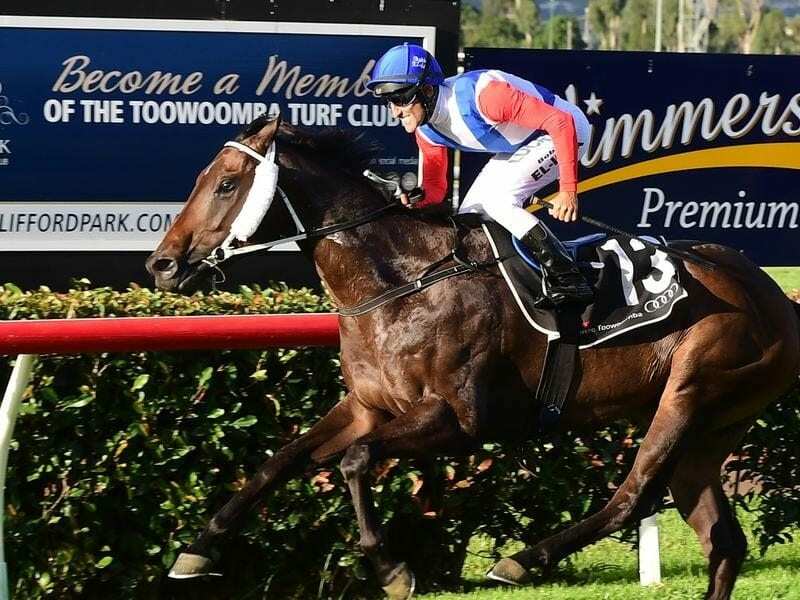 Amanaat’s victory in Toowoomba has given trainer Ben Currie back-to-back Weetwood Handicap wins. Jockey Bob El Issa has made a triumphant return to Queensland, riding Amanaat to give trainer Ben Currie back-to-back wins in the Listed Weetwood Handicap at Toowoomba. It was also great training performance from Currie, who had a stewards inquiry from earlier in the day hanging over his head. El Issa has had an up-and-down career on and off the track but faced the biggest challenge of his life when he battled cancer in 2016. He had been riding in Queensland and since his return from illness has been competing in NSW, mainly at country and provincial tracks. El Issa answered a call from Toowoomba trainer Ben Currie, who now has consecutive Weetwood wins after dead-heating in the race with Col’N’Lil last year. “We had a good run and he was too good in the straight. It was a great effort form Ben,” El Issa said on Saturday. El Issa gave Amanaat ($3.20) a good run behind the pace but burst away in the straight for a comprehensive win over Hi I’m Back ($17) in the 1200m race. Jumbo Prince ($16), who tied with Col’N’Lil last year, signalled he was ready for a big winter with his come-from-last third. It gave Currie two of the feature races after winning the Guineas with Hang against the background of a stewards inquiry. Stewards have opened an inquiry into the activity of one of Currie’s staff around his stables on Saturday morning. After taking evidence from Currie, stewards let his horses run and have adjourned the inquiry. However, the Weetwood was a fairytale win for Currie, who bought Amanaat for $5000 at a dispersal sale in Victoria and has won seven of nine starts with him. “As I have said many times the Weetwood is a race all Toowoomba trainers want to win. Bob did the job well and (Amanaat) might be a horse who can go into the winter,” Currie said. Trainer Tony Gollan was happy with the second of Hi I’m Back, who fought on well in the straight. “That’s him – he always tries hard but the winner was too strong,” he said.